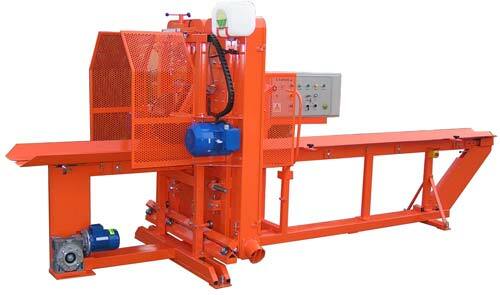 This machine is designed for processing pile wood and thin timber. It cuts double side-opened flitches 300 mm thick. You can also trim logs on the one-side or either sides by changing feeder runner. Efficiency of machine is dependent on size of average raw material and width of received flitch and average amounts to 1,5÷2 m3 /h ready product. Length of blades 4004 mm.